If you're the kind of player who wants aggression and heaviness in your tone, then the Invader SH-8 Neck pickup from legendary manufacturer Seymour Duncan, can satisfy your needs. This pickup comes in a zebra colour. 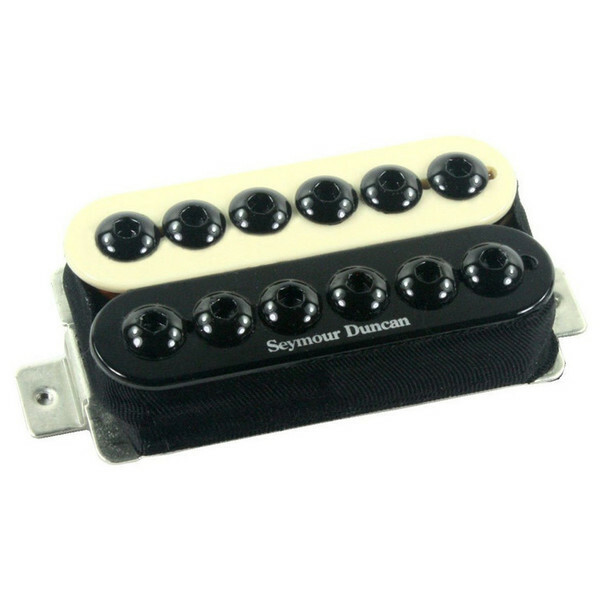 The Seymour Duncan Invader SH-8 Neck pickup is an ultra high output humbucker, designed for the aggressive style player who loves their metal, punk, garage, thrash, and other heavy rock styles. It boasts famous players like Synyster Gates (Avenged Sevenfold). You can also find a bridge position version of the SH-8 Invader on Gear4music.com. You'll find versatility out of the Invader neck pickup thanks to its reduced output. Conveniently, the SH-8 works well for all guitars. Its wide pole pieces work for both humbucker and Trembucker string spacing.